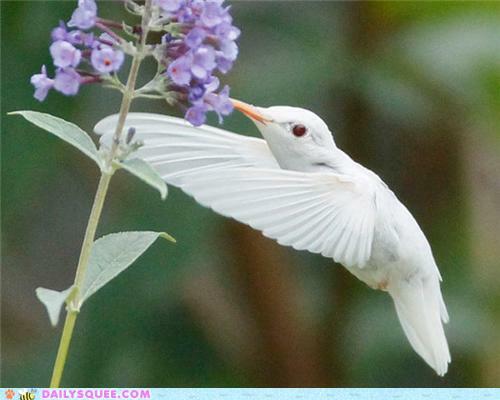 Albino birds are rare. I’ve never seen one although I’ve seen many photos. 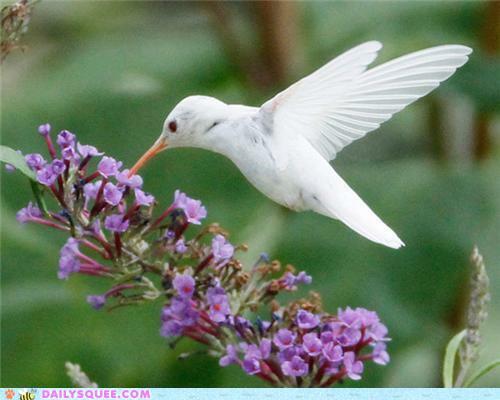 Once I did see a partial albino House Sparrow in a flock of sparrows at my feeder. One bird, same size and shape as the others, had a white head. It certainly was distinctive. 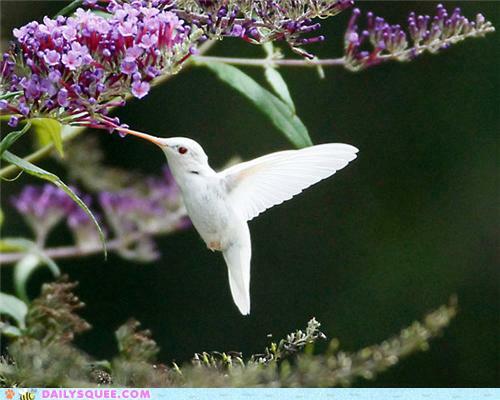 That is why I was amazed by these photos of an albino hummingbird. The bird is said to be a Ruby-throated Hummingbird although I don’t know how they identified the species since no field marks are visible. Photos were taken in Virginia so, based on location, it probably is a Ruby-throated.